Perhaps you’ve read about the Tommy Clark case. If you haven’t, don’t worry. It’s a case everyone’s familiar with — hit and run. The long and short of it is Tommy Clark, an Industry man hit a woman named Taylor Gaboury as she was walking on U.S. Route 2. He left the scene, getting a sentence of seven years in prison. Have you ever been involved in a car accident? If yes, then you know how important it is to carefully document anything and everything about it. The police will use the information to file an incident report, while your insurance company will need it if you want coverage for damages or injuries (if there are any). But the assumption here is you’re the aggrieved party. It’s another thing entirely if you’re the one who caused the accident. Of course, no one ever plans for such things. But if you do hit someone and leave the scene, here’s everything you need to know and do after a hit and run in Maine. Maine law is very specific about what you should do in case of an accident, especially if a) there is personal injury or b) damage exceeding $1,000 to vehicles and property. You have to contact the police or you risk losing your license or vehicle registration. This is because police need to file a crash report, which will become part of your driving record. And this applies to everyone involved in the accident, regardless of who is at fault. 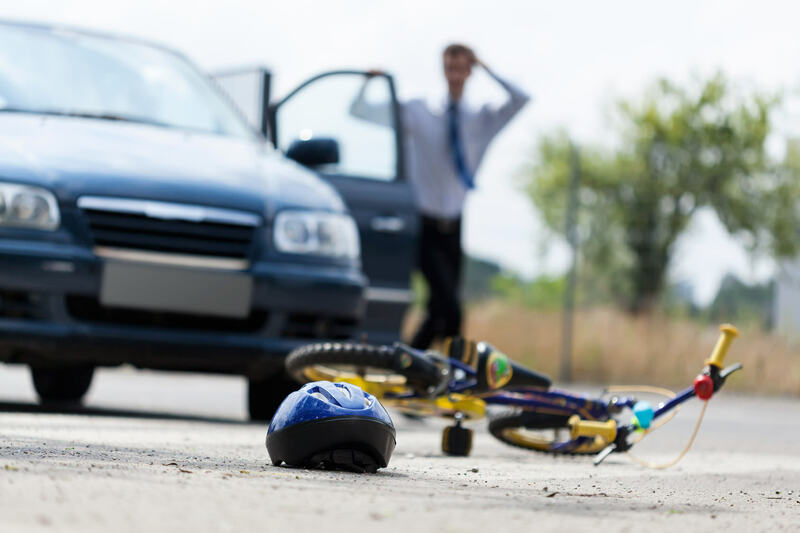 Failing to stay at the accident scene where someone or property has been injured is considered a Class C crime in Maine. This means you won’t be able to use your driver’s license for three years. As I’ve mentioned, you could be charged with a Class C crime if you fail to stay at the accident scene. But that’s only for leaving the scene. If your BAC or blood alcohol concentration is 0.08% or greater, you could be charged with a Hit and Run and OUI (operating under the influence). Take note that offenses involving OUI and hit and run can get you license suspension of up to 4 years. Let’s take a look at the other penalties since not all cases are the same. Class E will get you a maximum of 6 months jail time and a maximum of $1,000 in fines. Class D means a maximum of 12 months jail time and a fine of $2,000 (maximum). You’ll also get your license suspended for 90 days. And finally, Class C offenses merit a maximum of 5 years jail time plus a maximum of $5,000 in fines. It also comes with 90 days of license suspension. You can expect to pay up to $7000 for an OUI conviction. Plus, it will go on your record. I don’t need to tell you that a criminal record is never an asset when you’re trying to apply for a job or get into college. There’s another thing you need to know about OUI cases in Maine. You see, Maine follows the zero-tolerance law. That means, even if you’re under 21 years of age, the police will still arrest you. Under the zero-tolerance law, you will lose your license for a year if you are found operating or even attempting to operate a vehicle with even just the tiniest amount of alcohol in your body. Refuse to get tested and you could lose your license for at least a year and 6 months. You compound your sentence if a passenger under 21 was riding with you at the time of your arrest. This comes with an added 180-day suspension. Now, if your BAC is 0.08% or more and you’re under 21, you will still be prosecuted for OUI, which is a criminal offense. And you can’t use your license for a year. Knowing the consequences, it’s important that you understand why you should never leave the scene. Yes, it’s easy to panic under those circumstances but you’re not doing yourself any favors by fleeing. Some do it out of impulse. Later, they might realize that they have to return. Others do it because they think they can outrun the law. Trust me, they can’t. If it’s a minor accident, all the more reason for you not to run. Make sure all parties involved are safe. Exchange information and call in the police so they can make an incident report. Now, when the police arrive at the scene of the accident, they will test everyone involved to prove or rule out alcohol impairment. Running away will only increase the punishment imposed. If there’s damage, injury, or death, the legal consequences are even more serious. If you landed here because you’re charged with hit and run, don’t go at it alone. Consult an expert defense lawyer. Leaving the scene of the accident could mean very serious charges. Depending on your wits alone will not be enough to save you. Consider your future and let an experienced hit and run defense lawyer handle your case. It will be up to him or her to create a strategy to help you win the case or at least lessen the damage to your record. With skilled legal representation, you can keep your driving record and your license protected, and possibly even your means of livelihood. A qualified Maine attorney can challenge blood test findings and field sobriety tests. If Maine police accuse you of OUI related hit and run, DUI or DWI, let’s talk about your case. Other cases I handle include HO or Habitual Offender, possession of a controlled drug, OAS or Operating under Suspension, as well as any alleged motor vehicle or criminal offense. Please don’t hesitate to call me at 207-283-6400. You can also drop by my Saco office. Consultation is free. We’re at 16 Middle Street (behind the Saco Post Office). Feel free to browse my site for more information on cases I’ve handled, or if you just want to know more about OUI hotline.